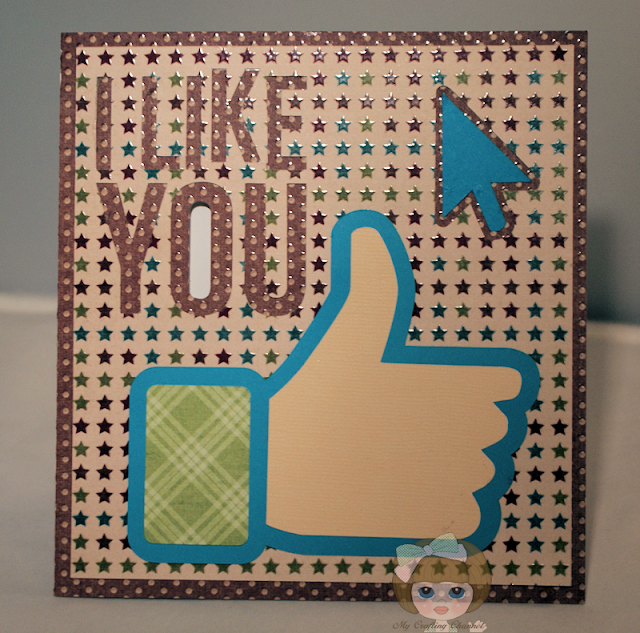 My Crafting Channel: SVG 5 Minute Card "Like U"
SVG 5 Minute Card "Like U"
Good morning my blogging buddies. I'm hoping to accomplish as much today as yesterday. This morning I have for you the second card from the SVGCuts.com 5 Minute Card kit. I think this card is way too cute. This one is made more manly but I could see this being done very girly or even for a child. This first pic shows the card as it would be if you did just the cuts and put together. 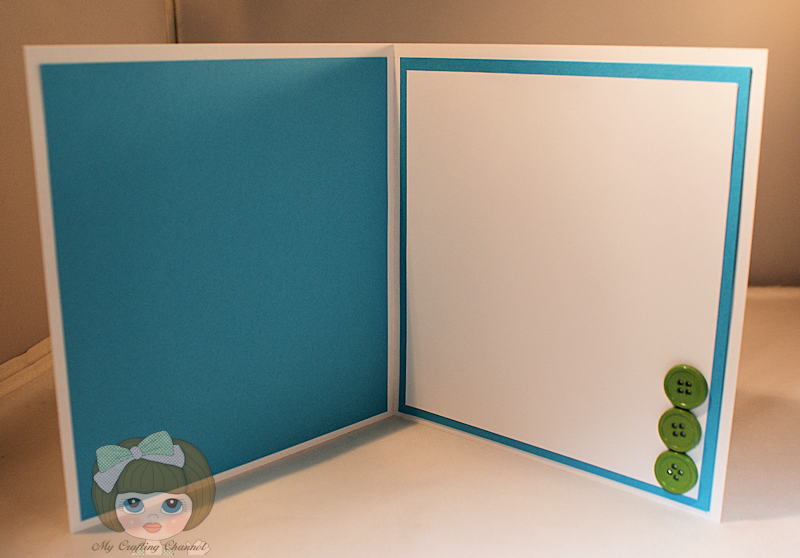 Now if you used a double sided card stock as Mary did on her example for the card base you would cut the interior piece file for writing on. Now on the next 2 pics you will see I did not use a double sided card stock, therefore I cut 2 of the interior mat files in blue. I place one on each of the inside panels. I wanted blue to show behind the "O" and I wanted a mat behind my writing area. I had to cut a third mat smaller to adhere to the blue mat where it would leave a border. I also added a button the the cuff and 3 on the inside. Ha Nana! I really LIKE this card! Great card!! I like you too Nana :o) this is great. This is so super adorable!!! What a fun card with GREAT papers!!! Cool card, love the papers.... 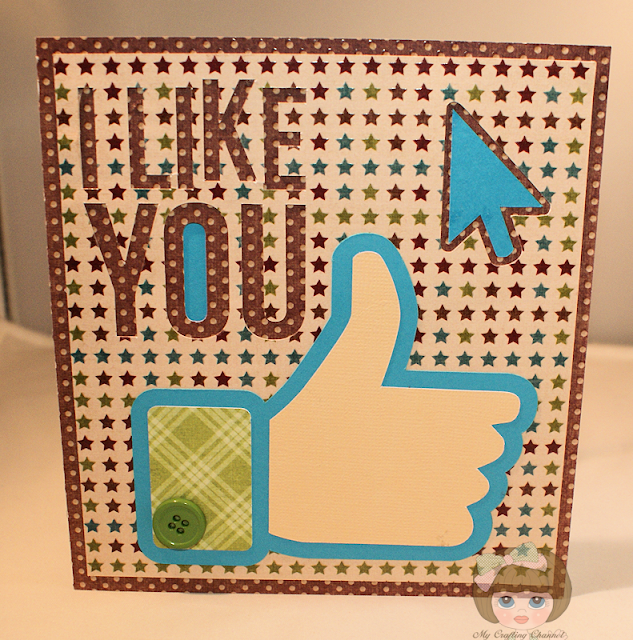 I like you too Nana, LOL! I love cards with "windows" :) This turned out lovely! Love the colors! Such a Cute,Cool & Fun card! !I LOVE it!! Once again a very nice card, but I also wanted to say how much I love your new blog....it makes me smile when ever I click on your blog, such pretty spring colours and I love your bunny. Totally cool card! I am so enjoying catching up. I hate it when I miss so much but it certainly is wonderful to be able to come back & catch up. You are so gifted and I hope you keep generating these gems.